Arby's is offering up a FREE BBQ Bacon Cheddar Roastburger with ANY soft drink purchase. Just bring along this coupon on or before 7/12/09. If you have a 7-11 nearby, then you'll want to stop by on Saturday, July 11th. They're celebrating their 82nd anniversary by giving out FREE Slurpee's from 7 am- 11 pm! 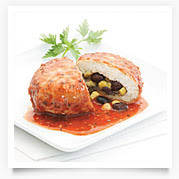 Right now you can go here and sign up to get a coupon for a FREE Gardein Veggie meal... sounds yummy! Just click on where it says “try Gardein for Free.” You will then be able to request your FREE coupon! "Wow! Besides Kmart Super Doubles going on, they are also offering up lots of fantastic toy clearance! You know what that means-- it's time to start stocking up for Christmas! Through this week, Kmart is letting you take an additional 50% off all their already reduced clearance toys! Wahoo! Don't forget to combine these sweet toy deals with this $5 off $25 Toy coupon! If you want some inspiration, then go check out the toy deals Lissa snagged over at Saving Your Cents! She has lots of great pictures showing off all the toy bargains she scored. I'm a visual person, so seeing those pictures gets me oh so motivated to go scour those deals! She managed to get $1,000 worth of toys for ONLY $150! Go Lissa!!!" AWESOME isn't it?? Those of you who have a Kmart that doubles should RUN-NOT-WALK because I predict that those toys are gonna go fast! Barnes & Noble has two new coupon code offers available through 7/19, for those who have a Barnes & Noble membership ..and for book lovers who do not! Like Amazon.com, Barnes & Noble offers FREE shipping once you spend $25, so these discounts come in extra handy.Non-members can save an additional 10% off one item with coupon code U4W8R8B. Keep in mind that the discount will be applied to the most expensive eligible item in your order, not your entire purchase. I just wish I had seen this post last evening, when teen daughter and I ordered some books online from B&N: It would have saved us about $2.00!! My favorite day of the week is now Wednesdays. Thanks for rounding up all the deals. Thank you for all of the info. Have a great weekend.